-- not just once, but multiple times within the two days before their toddler, 4 year old Rebecca died (late Sat 6 Feb) and five days before her infant sister, 15 month old Rachel died (Tue 9 Feb) -- even though the wrong poison, Fumitoxin was already inexplicably and immediately blamed in that first midday Friday 5 Feb 2010, 2:30 pm Layton Fire Department response call - documented in the initial conversation records of the mother and fire chief - as allegedly causing the family's Carbon Monoxide Alarm's so-called 'false' or 'cross contamination' (according to the Fire Chief) soundings in that very first Friday midday call (2;22 pm 5 Feb 2010), to the Layton Fire Department. Not only was the entire Toone family allowed right back into their home (on that first call of 5 Feb) without thorough investigation or personal diagnoses (no COhb tests on record); but later - again in repeated "multiple" (per police and fire dept logs) calls subsequent! -- Each subsequent call was likewise triggered by their repeated Carbon Monoxide Alarm soundings within the two days (Fri 5 & Sat 6 Feb) including the first call -- and before the first child, 4 year old Rebecca's ultimate respiratory failure, hospitalization and death (~ 8 pm Sat 6 Feb). Curiously LFD-LPD records indicate that some "multiple calls" were made by the Toone family due to their Carbon Monoxide Alarm's soundings even in days before Cole Nock's Friday morning visit and his Fumitoxin application! -- Funny that that was never mentioned in the legally required 'Disclosure' in any presentation of 'Discovery' in any of their Hearings or media reports. Truthful disclosure of that fact alone would have eliminated Cole Nocks, the rodent exterminator, and his employer's 'golden egg' opportunity for the ambulance-chasing personal injury lawyers (who happened to show up to "assist" after the news of death hit the air) to extract their rushed, pretrial, out-of-court, actually outside-of-law, settlement! -- So instead, the exterminator's rodent poison application outside - which had been thoroughly buried and sealed deep in (dry hard-frozen) rodent burrows (anticipating spring warming activation) in temperatures far too cold to allow any of the application to activate at all - was blamed! -- WHY? Because blaming Cole Nocks, the bonded businessman, provided the easiest premise for a lucrative settlement! Here is fact that was never presented by prosecution or court-appointed defense - until I entered case! This application of Cole Nocks at the Toone home in Northern Utah was done early in the brute cold morning of 5 February 2010 when soil and surface temperatures for weeks were never above freezing and maintained mean (average) night and day temperatures between 15 and 25 degrees Fahrenheit. And it must be in contact liquid water or whetted (requiring time) in warm highly humid (moist) air. Neither of these conditions (warm or wet) were ever met in Layton Utah, Feb. 5 at the Toone's home! Yet in absolute ignorance without diligent investigation based on any fact, an innocent extermination technician, Cole Nocks (pictured in slides above) was charged and about to be tried and sentenced (to prison) for the deaths of the two children -- except that an "inspired" reporter (and LDS Church Leadership translator) contacted me while I was at the time in DC (with Sen Orrin Hatch and JJ Brown, his cheif of staff, already exposing this national poisoning problem allowed in manufactured homes, core to this website [GassingAmerica.com/home]). Examining the media reports while there in DC (with Orrin and JJ present with me) I "smelled the rats" in their "legal" opportunism and immediately told Orrin, JJ my Senate, Congressional and Judicial friends in DC to communicate back to Utah, influence, intervene and prevent the felonious prosecution processes in Utah to progress or succeed (until I got back to there). Then weeks later, returning home I was connected (by that same caring reporter of integrity) to the defendant(s) Cole Nocks and his employer Ray Wilson (BugMan Pest Control) and his/their Defense and prevented the proceeding of the wrongful prosecution of an already viciously slandered, publicly accused, defamed and damned (through idiotically acting Utah DOA[F] officials) as they professionally destroyed Cole as a working man (immediately stripped of his DOA licenser) and destroyed Ray Wilson's BugMan Pest Control (with nearly a dozen employees also wrongly accused, losing their jobs - even losing their homes! Cole Nocks, and his long respected, decades successful, conscientious employer's now by Incompetent-Government, Utah DOA-Dereliction, Exaggeration and Fabrication--destroyed business, BugMan Pest Control; was made bankrupt IN ONE DAY by a bureaucrat's stupid ineptitude, divisiveness and slander in his photo-op moment of fame in front of the TV cameras and reporters' pens! As more records became available to us -- sadly with unprecedented difficulty, as they deliberately resisted, withheld, altered and/or suppressed them; in fact denying full lawful Discovery and evidence examination by any of us in or advising the defense team -- their prosecutorial malfeasence was exposed. And here is a good one; in our persistent discovery labors (accessing suppressed evidence and witness records), the family's Carbon Monoxide Alarm was found (as documented, thankfully by a honorable female Layton City detective) in the kitchen garbage can!?? Isn't that interesting!!! Yet it was never spoken of by the prosecution or the ambulance chasing lawyers succoring in their (pretrial) out-of-court P&S settlement for the Toones and themselves (the lawyers) -- nor by the do-nothing court appointed defense in any hearings. So was someone evidence tampering, maliciously withholding, greed-driven or just freaking stupid?!! -- The suspicions of that "inspired" reporter who called me with my forensic experience, IQ, empathy and integrity was right and is still being further validated with each suppressed discovery, ongoing even today. Sadly the same (immoral) bureaucracy, law and their client medicine and media -- that destroyed an honest man's (Ray Wilson's) business, once employing nearly a dozen caring people (who certainly didn't labor to poison even themselves) by defaming and publicly prosecuting the innocent employee of that long trusted and trustworthy business before doing honest legal Diligence and Discovery as required before their premature malicious (so called) Disclosure, or conforming to all rules in legitimate trial -- have never published or broadcast a corrected word of fact or even whispered one word of the (factually effected) "exoneration" of Cole Nocks, and of Ray Wilson's Government-and-media-destroyed BugMan Pest Control business, in honorable Judge Benson's final Federal Court Judgement. So you, the Toones and entire public are kept ignorantly believing that Cole Nocks, "Fumitoxin" and Ray Wilson's BugMan Pest Control business, killed the Toone family's precious babies, so that you are never made aware of their legal chicanery (including a covert multi-law-firm expedited pretrial out-of-court settlement, ie. truth-cloaking PAYOFF), and the Bureaucratic incompetence, professional and Medical collusion allowing the same asphyxiation dangers precious Rebecca and Rachel needlessly died from, that you also are in because of the bogus protocols concocted for all of America's First Responders (Firemen, EMTs, etc) and all Medical providers, by NFPA, CPSC in collusion with HHS-IHS-AMA Medicine in Washington DC -- which did allow these two precious children to die! -- along with thousands more equally precious! Even after Judge Benson's Federal Court final ruling -- where ALL media reporters were present and knew of his judgement finally based on fact; and even though they all committed to me and my reporter friend to report what they witnessed that day -- NOT one word has been published or broadcast by them!!! And even more pathetic nearly two and a half years after the Federal Court's exoneration of Cole Nocks, on May 19 2013, KSL TV's Michelle King's "Mormon Times" aired an interview with the Toone family on how they "have forgiven Cole Nocks for the deaths of their two children" -- sadly still playing the lie foisted by the bureaucracy-medicine-prosecution and ambulance-chasing lawyers upon them as the victim family, the duped public and you! -- WHY!!! -- Who did get the pay off? - though not payed the millions they where promised or succored with (which my early interference with facts and influence frustrated), but were still paid handsomely enough to buy and maintain the cooperative charade of lies or silence, which continues even today, still injuring all of the innocent, Cole, Ray, his former employees, their entire profession and all the dependent client industries (even nationally), the public and you! -- You need to ask! speak and act to obtain honest government, honest science, medicine and law! As you can see here, the well being, lives, sanctity of family and even the legal innocents of you or your loved ones is pilfered in their morally dubious hands. Competence with integrity is mandate from them all! These players had neither. I did call Michelle King and her associates of KSL about their posthumous 'slander of innocent Cole Nocks in open lies and implication' in their interview. Their link went inactive for while, but now its back! So the (already profited from coverup) deception continues! When will KSL or anyone tell you the truth? They ALL must maintain the lie or give back the money! -- More of the events, timeline and facts will appear here as I am able. Please check back or call me anytime. Also please forgive my writing errors and typos as I am performing this labor in exhaustion , in economic wreckage and with the injuries of three attempts on my life and function (loosing partial sight and motility), while struggling to do all with no relieving resources or any staff to assist, proof read, correct, refine or do this very time consuming web-work (or prepare, print or file support documentation. -- If they were right, then how is it I could instantly identify these poisoning symptoms in the first place? Huh? So I will not apologize for any of my efforts here to save lives of our most precious infants and children, or their families (as my oath always demanded), -- or for freeing the falsely accused innocent, including Cole Nocks! -- Thomas L Rodgers, 801-298-9095. Please read all you can (suffer through my writing in destitution and painful exhaustion), then share this truth! You may save a life, even your own! -- as did Ut. Lt Gov Gregg Bell, after he heard me. Ask him! or his wife JoLynn! Below follows my earlier dialogue with the EPA as they were about to create a Public Service Announcement based on the perpetuated lies of the Toone children's deaths blamed on Cole Nocks & Fumitoxin, though proven innocent! -- The Federal (with Utah State) Government and Media were about to attempt more of the perpetuation of the Toone Family poisoning lie, many months after Judge Benson's judgement (based finally upon our diligence and disclosure of fact) in points of facts exonerating Cole Nocks and Fumitoxin - which was absolutely incapable of any activation at all in the sub-40 degree -- in fact deep subfreezing temperatures -- in that February 5 2010 below ground application outside the Toone family's home! -- One more of the suppressed [exonerating] facts finally exposed through me and validated in Judge Benson's closing statement and points of Judgement! Through my written communication, copied below, with phone calls as well, I did put stop that proposed "Public Service" joke which would only served to hurt other honest pest control businesses by creating more fraud based paranoia over the already time and use experienced proven safe product applications histories of (specifically) "Fumitoxin" (ie. Aluminum-Phosphide pellets) as having one of the best safety histories -- especially in that no decontamination of product or production space is required after use in food processing or in grain or feed storage! We old ranchers, farmers, food producers and warehousers (of which i and my family are or have been) have utilized and trusted Fumitoxin for decades. (You could actually handle it safely with absolutely dry hands [but please, still wisely use gloves to keep any warm sweat away]. Fumitoxin absolutely CANNOT be activated AT ALL below freezing (32 F) temperatures and cannot even effectively activate below 40 F! It requires sustained warmth, actual liquid moisture contact [or warm wet saturated humidity] and sufficient time to hydrate (become surface contact whetted) in order to activate (in slow layered reactions) to off-gas its phosphine-diphosphane fumes. When finally activating, or activated, its very pungent garlic-rotten fish odor (the diphosphane off-gassed fraction) drives and keeps you, ambulatory children, pets and livestock safely away! -- and once fully spent, its final residue is harmless, primarily alumina, ie. aluminum oxide -- that is used as a common white food coloring. How much safer and problem free can you get? This Toone children fatality lie based in the bureaucratic lunacy, the Medical failure and Legal debauchery, is injuring and frustrating the decent livestock feeding and the food production, storage, and handling industry -- my own and your caring relatives who try to safely feed you -- and safely feed themselves as well! If what the Toone's and you where made to believe was actually true, Cole Nocks should have been the very first dead victim (along with thousands more of our food industry), since he held the poison pellets in his own hands, right under his own nose (as I and we thousand producers have also done), and as he was bent down over them nearly an hour and freely breathing above them as he pushed each of them down into several burrows and labored in that same (alleged toxic source) space to plug and back-fill the very same burrow openings into which he had just charged with the stupidly alleged "hundreds" (another Utah-DOA [DOAF] fed to media lie) of poisonous pellets. You can only hold no more than dozen comfortably per handful. So how is it that two children who were kept inside (remember, it was a brute cold 25 degree avg, even colder, early February) -- shielded by the code mandated impermeable water-barrier-sealed concrete, poly-sealed brick, air-tight thermal-efficient closed windows and doors and a (multiple times) sounding Carbon Monoxide Alarm -- that died and Cole Nocks did not? -- That is because Cole did not get to breath the REAL poison which was present only inside: ie. the "Silently Killer" odorless, colorless, tasteless, (opiate reactive-like) Carbon Monoxide, which the City of Layton's responders' (who read~50 ppm CO) and the Utilities contracted technician's (who recorded 127 ppm CO in basement) left in silence allowed, but the babies [and the whole, ultimately lethargic and vomiting family] did! -- Also if Fumitoxin had somehow been the cause, the more delicate, more vulnerable infant Rachel should have died first, not the biologically more developed and stronger 4 year old Rebecca. Being in the same living space together in that home, within the same air which was perpetually being blended, flowing and distributed through-out the home (required in February's brute cold) by their nearly constantly running furnace -- and if the toxin was the lethal concentration of phosphine-diphosphane gas (Fumitoxin), as these so-called "experts" (actually only "State-papered" well-paid, but in fact experiential idiots) alleged -- the 15 month old infant Rachel should have been the one to become unrespeonsive, comatose, and have died first, and then 4 year old Rebecca should have duplicated that pattern and followed only hours behind Rachel -- certainly not in reverse order nor three days later! -- and within hours behind them, one by one, all the rest of the family, youngest to the adults, following in order of their body mass (weight) and health, should have gone critical, unresponsive and succumbed! That is based on "premise" that they were poisoned in the same alleged Fumitoxin-charged house together! -- but wait, if our comprehension of the fragmented multiple narratives of Brenda's, Nathan's, Layton Fire, Layton Police, -- having never been allowed legal discovery including (on) sight examination, interviewing all witnesses, victims, litigants, or medics, nor having open access to all records, evidence, or be allowed re-creation of activities at the scene which occurred in that 5 days of critical events -- as best i can determine is that: Rebecca and Rachel went out with Brenda, their mom, leaving (soon after her signing Cole Nock's invoice) that morning (apparently, per HAZMAT team's CO readings record, opening, looking into and closing closets before she left or sometime while the whole house was toxic), leaving with the babies in her already garage-warmed-up car, then returning some 4 hrs later, prior to the first Alarm call (~2:30 Fri. 5 Feb, see narrative above) -- so both of those babies actually had much less time to be poisoned in the (alleged) "phosphine-diphosphane toxic" home, than did the two older children and possibly their father! So in fact, based on experienced forensic logic, it should have been their 7 year old brother, Braden, to have been first to seriously sicken, go unresponsive, and be near death, and rationally their 9 year old sister, Cassidy, should have tracked just behind Braden, becoming at least clinically symptomatic and failing, each of them possibly being critical, due for transport or potentially succumbing to coma or death even before Rebecca and Rachel got back home with Brenda their mom, Rebecca and Rachel both presumably having been away in the (assumed as) safe vehicle and community air, for 4 hours outside and far away from their home! So why were the entire Toone family (or even the Emergency Responders) when static for hours or any length of time inside that home not clambering to go outside? Fumitoxin's noxious odor (the diphosphane fraction) provokes an irrepressible desire and profound drive to escape to fresh air, -- while conversely, the opiate-like repressive, yet Alarm-specific-triggering Carbon Monoxide does not! - instead, with it you only wish to lay down, right where you are! And that's exactly what the whole Toone family did -- they layed down (even vomiting, returning and laying back down again) until their Carbon Monoxide Alarm finally sounded, sufficient enough to disturb them, finally provoking their 911 Emergency call(s). 200 to 400 ppm of sustained CO was (is) required to trigger the Toone's commercially produced Carbon Monoxide alarm! - that is 4 to 8 times OSHA's allowed 6 hr healthy adult (male) exposure maximum, or, more critical to children and expectant mothers, 8 to 16 times the CDC-ACGIH, even shorter duration exposure maximum, tolerated for fetuses, infants, toddlers and those otherwise infirmed. -- So you need to know most all Carbon Monoxide Alarms will do no more than give you a false sense of security -- and worse, provide a Medic, Fireman, Clinician or Doctor an excuse NOT to even test you or your other children for it, since your alarm never sounded -- even though your infant has already aspirated and died! The Toone's home at the time(s) their alarm finally did sound, already WAS a deadly Carbon Monoxide hell! -- but it quickly cleared in the First Responders' lunatic protocols, machinated in Washington DC's NFPA and CPSC (and the Gas Utility's contracted "Safety" officer's complicity), as the family was advised (in their Emergency calls) to "open the doors and windows! - go to the neighbors (remember it was brutally frigged February 5) and wait"--"until 'we' get there!" by the Fire Department! -- That is effectively equivalent to allowing the murder weapon to be tossed out the window to disappear into the lake (of air, in this case) and never be diligently looked for in your first investigation of the event! the second, the third, or ever again! -- even when the (as a metaphor) bullet wounds and bleed-out splatter of the victims is clearly evident right their inside; but is ignored! -- worse, an onsite security device is evidence-tampered (batteries removed and trash-canned) and suppressed (never mentioned anywhere in hearings or media) -- and instead blaming the cause of deaths on a hapless man outside and only coincidentally there -- just because you discovered he had a wallet with one nicely backed "credit card" (liability bond) which you knew you could convert into several millions in cash (or at least a few hundred thousands)! -- just as long as you could indict him (and somehow convince even him that he did it) instead! He takes the plea! You take the cash! The facts, the truth, and the injured be damned! In the many thousands of Fumitoxin applications in the decades of (my own) dairy, poultry, livestock, food production, storage and granaries experiences of which my family and I was a part -- and that's millions of rodents we "discouraged" -- there is no Fumitoxin deaths of which I at 73 years or my relatives and our associates know of or can recall. And we have all used it (exactly like Cole did and even more) without incident -- nor even with our animals, whose own "good sniffers" keep them away from that activated poison. That natural protective characteristic is not true of most other poisons! -- certainly not Carbon Monoxide. And what is most important for us: no clean up or decontamination of toxic residue is needed after its done! Again providing great safety for animals, unwary adults and children (who also don't like rotten fish smell, and will complain and move away from it long before it can hurt them if it were still even mildly active)! So I don't know how any alert fireman, gas company tech, medic, police, family or neighbors would not have been acutely aware and disturbed with the obnoxious odor of active Fumitoxin and wanting to leave the property, let alone return and stay in a house allegedly toxic enough to kill someone. -- Or was everyone in Layton Utah olfactorily dysfunctional (no ability to smell)??? -- Then for their own safety they best not be un-partnered firemen or Questar techs if they cannot smell leaking gasses or smoke! Unlike as with reaction sedating odorless Carbon Monoxide -- every sentient, ambulatory or vocal human or pet should have been disturbed with a drive to get out and get to clean air by Fumitoxin's vapors, if it were present anywhere in that family's living space and in any concentrations that could injure or kill! Oh but I forgot, Lawyers CAN smell opportunities for multiple-hundred-thousand dollar settlements, anywhere! -- especially in the (combustion recycling) exhaust fumes of a running vehicle warming in a closed garage with the only door that is opened is into the house while toddlers and infants are inside! -- but spinning and pinning it on a hapless contractor only coincidentally in the vacinity in the same time frame, and who has the easiest multi-millon dollar business liability bond to threaten and defraud! Sorry for my sarcasm -- which is founded on fact! -- but I am tired of the mindless ignorant, arrogant and malicious "professional" pretenders who contribute to or directly cause injury or death, or as pathetic (or pathogenic) human parasites, spin and profit from it. I have had my fill (without pay, even without thanks, though I sorrowfully understand and accept that most everyone whom my labors have saved are overwhelmed even after resolution is obtained as well). This labor has cost me (my wife and my family) dearly! including the several evil attempts at being made disabled and "eliminated"! I have in deed "worn out my life" (DC 123:13) laboring to save others! No apology is needed from or for me! -- except to my wife and children for their loving sacrifice allowing this worthy lifesaving labor to occur, for others, those you love, and possibly you! I am pleased to answer questions, learn of or from others' experiences or accept caring advise, always. EPA / Fox 13 News Story Error on Toone Family Deaths! A friend reporter (Jorge R) called me to notify me of the Fox 13 report about the Toone Family being approached by the EPA proposing to use their family’s tragic “story” in an EPA publicity project in a PSA on the risks of pest control toxins. Upon viewing the Fox 13 News reports (2), I immediately was enraged that no-one of the EPA or Fox (neither SLCounty Dr Delegge nor DA Sim Gill) had done their ‘homework’ (in law) no Diligence, no Discovery, so were not acting on the truth or even a semblance of it, nor knowing the actual and implied facts in the final Federal Court proceedings, Judge Benson’s decision and judgment (in his token, soft [politically and publicly obligated], actual non-sentencing) of Cole Nocks – the alleged, but media (and DOA) painted as, “already convicted and waiting on death row killer”! I immediately called Fox 13 News (Bob, Jennifer, Rene, Scott) asking the background on their story, warning them to cease and desist; then began my phone chase, attempting to locate the initiators of the proposed project at the EPA. I noted Mr Kemery in DC as an administrator in EPA Public Relations, left him a voice mail and emailed him copy of my Facebook.com/LifeSave.org (my personal Facebook.com/ThomasLynnRodgers carries the same) posting instantly done for all my family, friends and associates. At the same time (as you will notice in the email addresses) I also immediately shared my position on the story and issue with friends in Congress and those Federal regulators who now respect and have legitimized my facts and judgments in exactly or similarly related issues and events. I now must warn you; I am not kind to those whose ignorance or malfeasance actually does cause or contribute to needless death. I do not care if they or you like me or not. All I care about is that they and you like and actually do care about others – especially these so-called officials who claim they care and are paid (often over-paid) to protect -- but in fact don’t! Now continue with my email conversion with EPA. Mr Kemery (ultimately CC’d to others). – Until today, I have not told all about my part (with my friends, associates and our influence) in preventing an innocent man, Coleman Nocks, from being sent to prison. – Cole was accused in the alleged pesticide death of two children in Layton Utah – who ultimately dropped their charges – why? The Federal Court only charged him a pathetically inane consolatory “label infraction”, hence only brief probation! which reversal you never heard while you were left to believe he was sent to prison for involuntary manslaughter or negligent homicide! Ask me! Ask Cole, Ask Ray! – So again they are deceiving, suckering and again using the broken-hearted victim family, and in innuendo, within their crafty, heart wrenching public (TV Media and Public Relations) brainwashing of you (see http://fox13now.com/2012/11/15/parents-turn-death-of-daughters-into-a-lesson-for-others/ ), maliciously “re-convict” a man, factually proven innocent, (through my expertise, diligence and disclosure factored into the follow-up Federal Court processes – and through which Layton City dropped their charges and case against Cole [ask me why] and his employer, Ray Wilson [Bugman Pest Control – whose business they already had instantly destroyed through their media disseminated crap commenced in their very first fallacious news reports. – So I am now forced by my morality to publicize the truth that was with-held, stifled, suppressed so the real child "murders" could maintain their immunity and obfuscate liability while maintaining your ignorant trust in all of them! – Coleman Nocks' rodent poison (which he carefully buried and sealed in the ground as the DOA had trained and licensed him to do) outside the Toone family’s home did NOT kill those two little girls inside their home! – Instead Carbon Monoxide (as the Haznmat team testing records identified [50ppm CO in garage, 30ppm CO in closets residuals, two days later]) did poison and did kill the children! – while (NFPA/CPSC/HHS-DC-deliberately) mis-advised and mis-trained Firemen, utility inspectors, paramedics, Hazmat personnel, Coroners, medical examiners, doctors (in this case, the pediatricians), clinics and hospitals, facilitated or contributed to those precious children’s needless deaths! Then misguiding the surviving vulnerable sorrowing family, while effecting (again) their fraudulent indictment of an innocent man – further destroying his reputation, life, career and his employer's company, its other employees’ reputations, incomes and careers)! – And now they want to cover their own malfeasant, resultant murderous a--es once again by re-blaming Cole Nocks, contemptuously violating his double jeopardy rights, to justify their incompetent existence in their self-ascribed pretentious protection of you and your children! 2. The truth (by deliberate diagnostic failure association [NFPA, CPSC, HHS]) they are trying to hide from all America -- the Toone family included! "Now their story will soon be told nationwide thanks to a public service announcement produced by the Environmental Protection Agency in Washington, D.C. that will appear on the Internet to educate viewers about the realities of environmental accidents and crimes. “The Environmental Protection Agency contacted us a few months ago and wanted to do the PSA,” they said. Its very clear to the Toone family, Fox 13 Scott Mckane and us capable of viewing and reading his report. that someone in your agency and specifically close to your PR department has contacted the Toones (and FoxTV) and clearly described you agency's PR project and desired use of the Toones as your agency's poster-family proposal. You DC administrators certainly should know something about this, No! Quite frankly you better know about it! I have already communicated with Federal Judge Benson, as well as Dr Delegge and DA Sim Gill, who reporter Scott Mckane interviewed in the report, yet neither of them had docket copies nor anything to do (no legal jurisdiction) with the Toone or Coleman Nocks case. Neither Dr Delegge nor DA Sim Gill -- nor the public -- was ever allowed to know the facts that the first and second calls (and others prior) from the Toone Family to the Layton Fire Dept was for the (multiple) soundings of their home Carbon Monoxide Alarm! -- And except for the very first and only, single news report, the multiple Carbon Monoxide alarm soundings and calls to the Fire Dept (and Questar Gas Co.) were never mentioned, neither was the family correctly [or timely] serum [blood] tested, nor was their whole-house and attached garage correctly environmentally analyzed, (reviewing, simulating and re-enacting all potentially contributing preceding events) in those critically important multiple first-responder calls -- while the children were still alive! So as you see, I will not sit quiet while your agency (or Fox 13 etc) ignorantly violates double jeopardy, further slandering and defaming this man and his unjustly destroyed employer (Ray Wilson - Bugman Pest & Lawn), and continues the betrayal of the public and this violated, very family whose daughters would still be alive if only a simple but diligent serum toxicology (Rad-57 eqv) evaluation had been performed instantly, the very first time the family's Carbon Monoxide alarm sounded – or possibly even, if correctly treated, the second time – thereby saving their lives! – With timely identification and aggressive hyperbaric treatment and appropriate life support. (based on fact -- not incompetent fiction) those precious children would not have died. Yet twice the family was stupidly assured by DC's NFPA, EPA, HHS, DOA, "trained" professionals that their home was safe and all were OK returning to it -- not just once, but again in a second Carbon Monoxide alarm call, 12 hours later! That’s twice! (even again a third time shortly before the first child was transported then died a few hours later) -- I remind you again -- while both children were still alive (and savable)! Oh yes! How is it, when and why did the Carbon Monoxide alarm end up in the waste basket? -- Or how is it, even though factually too cold to activate, the Fumatoxin, which was buried and sealed in burrows outside, that it was "blamed" for the "false" Carbon Monoxide alarm sounding, inside the tightly closed home (remember this was early in a very brute cold February. No outside doors or windows were left open – except at the inane orders of the Fire Department prior to their arrival during both calls)! 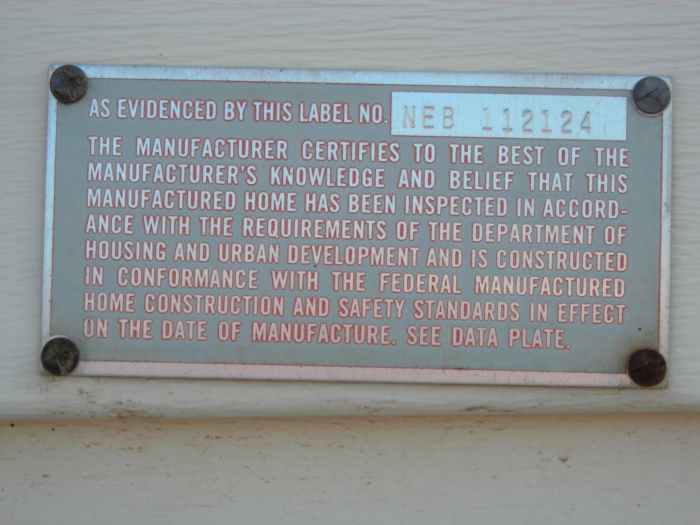 – Then why – especially when Fumatoxin was already mentioned so was “immediately blamed” for their Carbon Monoxide alarm's "false" soundings – was the family assured both times by those trusted government trained "professionals, that their home was safe?! -- that is, until the first child actually died – more than a day and a half later (in full hospital oversight – still no COhg done or treated – so in 36 more hours her sister died also [in delayed mortality typical to lethal CO events in infants])! – And isn't it curious that no first responders reported that they could smell any Fumatoxin – which is naturally very pungent if activated! – Why? Because it was inactive! and thoroughly buried underground outside, on the other side of brick and concrete walls, ice cold, in fact, way colder than its mandatory activation temperature of 40+ degrees, and that is only possible when liquid (not frozen nor ice) water is presented! So their was no Fumatoxin poison anywhere, except dormant (in its solid state) outside in the ground, waiting for spring warming, liquid wetness and the waking Voles in March, April and May. So now, which lethal gas has no smell, will set off a Carbon Monoxide alarm and somehow magically disappears from a home when some jackass advises the family to open the doors and windows, go wait at the neighbors, and when "we" get there we will wave our Eagle atmospheric analyzer to test the air in the house! – instead of immediately and correctly testing the blood [Carboxyhemoglobin saturation levels] of the Toone family members – then certainly never allowing the family back into their house; especially after Fumatoxin was even considered, suspected and immediately blamed, and not until the alleged poison was absolutely and completely retrieved, conserved, as evidence, and analyzed for weight lose per pellet to determine any activation and fume volume releases -- if any! And not until a legitimate evaluation for Carbon Monoxide was done, identified (to absolutely rule in or out alarm multiple sounding cause [actually more then twice]), treated and remedied! But again Washington DC's derelict and deliberately deficient NFPA and HHS First Responders' directives and guidelines, coupled with Medicine's so-called "Best Practices" (deficient or none-existent – for "Best Profit") protocols, have injured and killed two more precious children (I am dealing with thousands more, including Katrina, and Sandy) while innocent Colman Nocks, Ray Wilson, their now lost business customers, employees (homes), and the still betrayed, once again used [and abused] Nathan and Brenda Toone, their family, friends, and the entire unwitting public, take the fall! LAYTON -- Authorities say a pesticide is most likely responsible for the death of a 4-year-old Layton girl. Hazmat crews spent all day Sunday testing the girl's home near 1500 North and 2400 West. The home has been sealed off to anyone not wearing protective gear. Layton's fire chief said crews found traces of phosphine gas coming from a rodent fumigant that was placed just outside the home. The gas was seeping into the house. This is where the "cover your own behind" instantly begins, as you should know, since this is the same "professional" Bureaucrat who, with Questar, assured the family that their home was safe for them for reentry into it, not once, but at least twice -- while the girls were still alive -- even though Corbon Monoxide had already been measured (52 ppm in living areas by Layton Fire Dept and 128 ppm in basement by Questar) and Fumatoxin had been "mentioned" and already being blamed for the first (and second) ''false" alarms. Yet these same public-trust officials had assured the Toones that their home was safe (not once, but twice) some 36 hours before the first child exhibited clinically evident malaise (slipping into unconsciousness), was hospitalized, then died, and that was also three days before the second child died! -- so they have to collude and cover their own derelict (NFPA/CPSA/HHS Federally programed) breech of trust and convince you it was the (in fact, only coincidental) application of phosphine. But remember even if it actually had been phosphine gas that triggered the alarm, which (only from Brenda Toone's conversation) they claim they "knew" the poison was present (yet they never indicated smelling it), these pubic-trust officials still did not do any diligence (to irrefutably prove or disprove) but instead gave the family (per Nathan Toones testimony) absolute assurance that their home was safe, permitting their return into home immediately after first call and again (twice) in the second Carbon Monoxide Alarm sounding call in the three dozen hours before the first child exhibited respiratory and consciousness response failures, was hospitalized (We-Care/Layton IHC), then (in secondary transport to PCMC) she died (never receiving neither timely nor correct CO treatment - and neither did her sister). -- So they have to convince you it was Cole Nocks' ignominious application of phosphine (Fumatoxin) and not their own authorized return of the entire Toone family with their still alive -- and at that point savable children --back into a "known", alarm triggering, factually toxic home, be it contaminated with Carbon Monoxide or Phosphine -- at which time should have been an easy to call 'to err on the side of safety' lifesaving decisive moment! -- so with NO 40 degree or warmer liquid water in the burrows, wetting the (anhydrous) Aluminum Phosphide (specifically safety formulated w/ pungent odorant enhancement) "Fumitoxin' pellets, NO phosphine poison gas fuming could have been generated and presented, even outside the Toone home, not even down inside the rodents' burrows (where the pellets were dry-set and sealed in stasis to await Spring thaw, its wetting rains and the Voles' hybernation terminus), let alone the presumptuous charge that any fumes could find their way inside the deliberately winter closed "Energy Star" wind and thermally tight, new, hard structured home, through its foundation/basement wall's with thick tar moisture seal, re-bared concrete, and up 2 more stories into the house living space above -- because at the ambient soil and air temperatures (of Feb 5,6,7 , 2010 in Layton Utah), where the pellets were stowed (in frozen ground) with NO liquid water possible which could make contact with the Fumatoxin pellets, not even 1 pellet could have ever reacted and off-gassed; so not even 1 rodent could have been even slightly injured, even if nested right next to the pellets, in the burrow outside the Toone home, let alone think it could affect 2 children inside even 1 and 2 stories (already having to raise this heavier gas near 3 feet above grade to 1st floor) higher than this dense, heavier-than-air gas naturally goes when it is actually reacting (with wetting). off-gassing and presented! -- Here is what actually does 'smell'! -- Initially not one first responder indicated that they could smell anything in their first reports! -- but curiously months later (after the 'ambulance chasers' appeared and adjusted memories) reports, and testimonies in court, where altered and comments were added 'in reflection' to the affect (oh yes, now I recall) "there was a (funny) odor present in the air"! -- Well then if that was true, then tell us why, jackasses, did you tell the family their home was safe and permitted them to re-enter with their infants to continue to reside in their home -- again, not just once, but twice? -- dozens of hours before the first child died and three days before the second child died? Police said the Toone family called 911 when their carbon monoxide alarm went off Friday afternoon. Fire crews came to the home to investigate but could only detect low levels of the gas in the basement. (the so called "low levels" were 9 times the US ACGIH maximum level (8hr TWA/PEL) allowed for expectant women feti, infants, toddlers -- oh yeh! that includes the Toone children, too) They ventilated the house, notified Questar and allowed the family to go back inside. Police said the family told firefighters they had recently had an exterminator come to the home to deal with a mouse problem. The exterminator apparently put poisonous pellets in the ground outside the home. Hazmat teams investigate the Layton home where authorities believe a 4-year-old girl was exposed to something that may have caused her death. Then on Saturday, neighbors said the entire family fell ill.
"I just know the family got sick, but they all thought it was food poisoning. They said they had been puking and it was not just one, it was all of them," said neighbor Jerry Lynn Smith. Saturday night, family members found 4-year-old Rebecca Toone unconscious and not breathing. They took her to a local pediatric clinic, but she was soon transported to the Davis County Hospital, where she died around midnight. "She was the cutest little button, just was always running around and chasing her sisters. They are a great family," said Smith. "When I got the phone call that she had passed away, I just grabbed my kids and hugged them, just to let them know that I still loved them. She's going to be missed." Early autopsy results came back and ruled out CO poisoning as the cause of death. Officials from the Layton City Police Department, Layton City Fire Department, Davis County Health Department and the Utah National Guard Hazmat team were called out to the home Sunday to test for poisonous chemicals. The National Guard used high-tech equipment to make sure the home was safe enough to enter. Investigators don't know for sure what killed Rebecca, but they have a strong idea. "Something in that pesticide most likely, but until they get the results out here to us we won't really know," said Layton City Fire Battalion Chief Lonnie Adams. The National Guard will return to the home Monday with a more accurate tool that should be able to determine whether or not it's phosphine gas inside the home. Until then, no one will be allowed inside. Police say neighbors are completely safe. LAYTON -- Investigators believe a toxic gas released from a rodent pesticide killed a 4-year-old Layton girl and put her 15-month-old sister in the ICU on life support. They say they found traces of the chemical Fumitoxin at several points around the home. According to the Fumitoxin manual, the chemical shouldn't be used closer than 15 feet from any home or building; investigators detected it at 3 feet from the garage and 7 feet from the home. Still, the owner of the pest control company who deposited the chemical says the manual isn't the law. Bugman Pest Control owner Ray Wilson said the past few days have been a nightmare, but he said it's nothing compared to what the Toone family is dealing with. "I'm extremely upset and sorry that a young girl not only died but that her sister is in the hospital," Wilson said. A Bugman technician used the chemical Fumitoxin in burrows around the Toone's home, but exactly how many pellets and how many burrows they were placed in isn't known. Wilson says the technician didn't properly document it. Authorities don't seem to have much doubt the tragedy was caused by a chemical put in the lawn last Friday to kill rodents. The big question is whether it was applied correctly, in accordance with regulations. "Maybe he's fried himself by writing down an incorrect measurement," Wilson suggested. Wilson says the technician wrote down the pounds of chemical -- approximately 1-1/2 -- rather than the pellets as he was supposed to. Wilson estimates based on the pounds, around 800 pellets were used. He has no way of knowing whether that was the proper amount because the employee didn't document how many burrows there were. Wilson also says they would normally use a different and less-toxic chemical, Ramik-brown, for vole burrows, not Fumitoxin. He says the technician used his own judgment when planting the Fumitoxin pellets, without Wilson's knowledge. Going outside the protocol is one thing, but breaking the law is another. Wilson says the technician did not break the law. "By law, the technician has to comply with the label on the product," he said. In the 40-page applicator's manual for Fumitoxin, it talks specifically about distance limitations, saying you shouldn't apply the product fewer than 15 feet away from any home or building. But according to Wilson, you don't have to follow the manual, you have to follow the label on the bottle. The label doesn't talk about limitations at all. Wilson says he is not defending the technician's actions because he doesn't have all the information, based on the incomplete paperwork. But if the technician did what he says he did, his actions were within EPA standards. The technician is on unpaid leave. Wilson says he would like to reach out and assist the Toone family in any way he can. LAYTON -- Three days after 4-year-old Rebecca Toone, of Layton, died from apparent exposure to a pesticide, her 15-month-old sister, Rachel, passed away. Both girls died after having similar symptoms just days after their home was treated to get rid of rodents. "Heartbroken" is the word the Toone family used to describe their feelings Tuesday night. Rachel died despite what the family calls "heroic efforts to save her life following heart failure early Monday morning. In a statement , the Toone family said: "We are heartbroken as we and our two older children mourn Rachel's passing and that of her sister Rebecca, who died Saturday, February 6th. Their funeral will be held in the next few days, and we request the opportunity to quietly celebrate their lives with our friends and family at that time." The parents, Brenda and Nathan, along with two older siblings are mourning the loss of Rachel and Rebecca. "They're a great family, really great family. It's really sad that this had to happen to them, because they're just great," said neighbor Jerry Lynn Smith. Both deaths come after a carbon-monoxide scare, followed by a realization that the problem most likely stemmed from toxic extermination pellets. The family hired Bugman Pest and Lawn to treat their vole infestation on Friday. A Bugman technician used the chemical Fumitoxin in burrows around the Toone's home. The Fumitoxin applicator's manual states that the pellets are not to be used within 15 feet of any building being occupied by people or animals, especially homes. But Lt. Col. Tyler Smith, of the Utah National Guard's 85th Civil Support Team, says his team found remnants of the 1 and 1/2 pounds of the chemical, which translates into roughly 800 pellets, that was placed along the driveway and porch, coming within 3 feet of the garage door and about 7 feet of the front door. According to Layton Fire Chief Kevin Ward, the pellets used mixed with water to release deadly phosphine gas. It apparently migrated from the soil into the home. "There are some cracks in the foundation in the garage area. That's where we suspect it had probably entered into the home in there. But we haven't quite determined, we were unable to determine exactly where it went in," Ward said. Exactly how many Fumitoxin pellets, and how many burrows they were placed, in isn't known because the company president says the technician didn't properly document it. The Utah Department of Agriculture and Food says it has warned Bugman about bad record keeping in the past -- leaving out important information in reports. "[There's] a list of a number of things they have to keep track of, and we did have that problem with them a couple of years ago," said Clark Burgess, pesticide program manager for the Department of Agriculture. Records indicate that both Bugman and the technician, Cole Nocks, have up-to-date licenses, which expire at the end of this year. Now, with two children dead, police have to figure out their next move. They say the district attorney's office will likely be involved at some point in the discussion. Lt. Quinn Moyes, of the Layton City Police Department, said, "Right now it's a death investigation. We don't know, and a decision hasn't been made, whether there's criminal charges or not. So right now it's a death investigation." But Moyes did say there's a potential for criminal charges in the future. "Again, that has not been determined, but that's a possibility," he said. As for the Toone family's home, hazmat crews have determined it is safe once again. Crews dug up contaminated soil in the Toones' lawn Monday and mixed it with water to get rid of the chemical they believe led to the tragedy. "We did excavate the area where the material had been placed, the area where the exterminator told us the material had been placed," Ward said. "Our hazmat team took all the dirt from around that area to where they could see there was some residual from the pellets. So once we got all that out, we flooded the area with water because water helps it dissipate a lot quicker." They took readings Tuesday morning after letting the furnace operate normally overnight. No more traces of the gas turned up. Authorities say there's no threat to the neighborhood or to the Toone family if they choose to return home. We don't know the family's intentions. They've chosen to be very private in their grief and have asked to be left alone. The only family member we've seen was the little girls' uncle. He briefly stopped at the home and then moved on without comment. Story compiled with contributions from Nicole Gonzales, John Hollenhorst, Shara Park and Andrew Adams. Today our sweet baby daughter, Rachel Toone, passed away despite heroic efforts to save her life following heart failure early Monday morning. We are heartbroken as we and our two older children mourn Rachel's passing and that of her sister Rebecca who died Saturday, February 6th. Their funeral will be held in the next few days, and we request the opportunity to quietly celebrate their lives with our friends and family at that time. We appreciate the talented health care professionals at Davis Hospital and Primary Children's Medical Center who cared capably and lovingly for our beautiful daughters and for us. We also want to thank so many community members for the outpouring of kindness we have felt and for the sustaining prayers offered in our behalf. Contributions to assist the family may be made to the Rebecca and Rachel Toone Trust Fund* at any office of Wells Fargo Bank. Once lies are concocted and perpetuated to cover–up the officials’ programed errors through their mandatory (quite mindless) compliance to Washington DC’s elitist manipulated conjurings of protocols and directives – which are currently designed solely for maximized profit, subjugation and [UEB] elimination – they do not easily correct or cease! – not until America recognizes the subtle scheme to conceal America's most common poisoning experience, which is harming all of us and our children, while enriching others through intentionally induced and seduced public ignorance! – followed by a child or two's illnesses or deaths! – so you have to blame someone and something else!